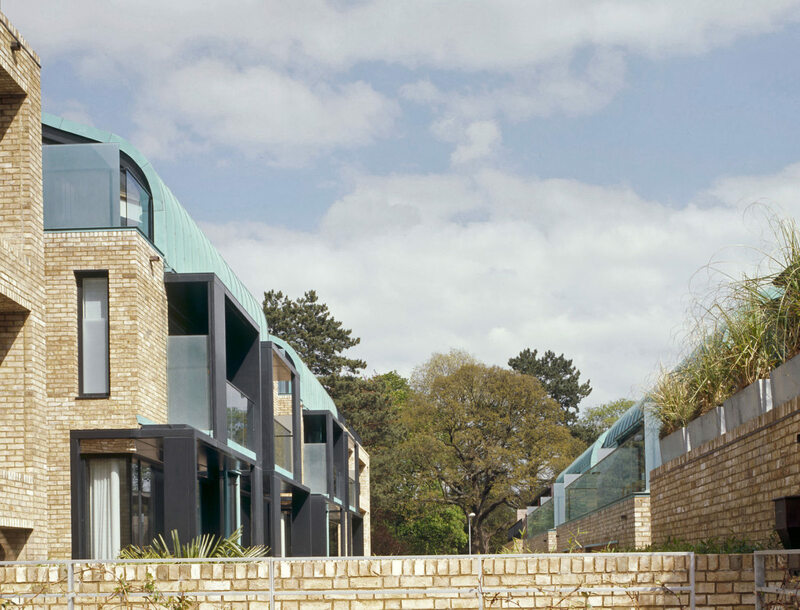 Of the 40 dwellings that ABA designed at Accordia, Four are 400m² semi-detached houses of the prominent Brooklands Avenue frontage. 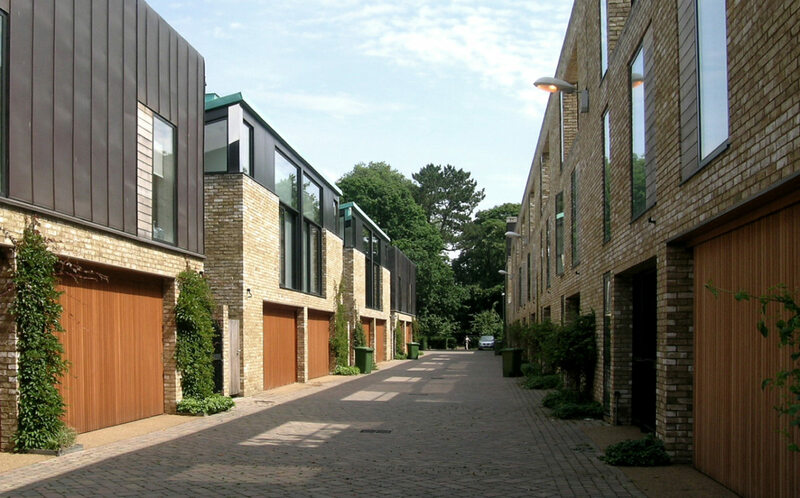 The semi-detached house typology is often considered the most conventional of British housing types; it is associated with a predictable symmetry and was prevalent in early 20th C low-density, suburban developments. 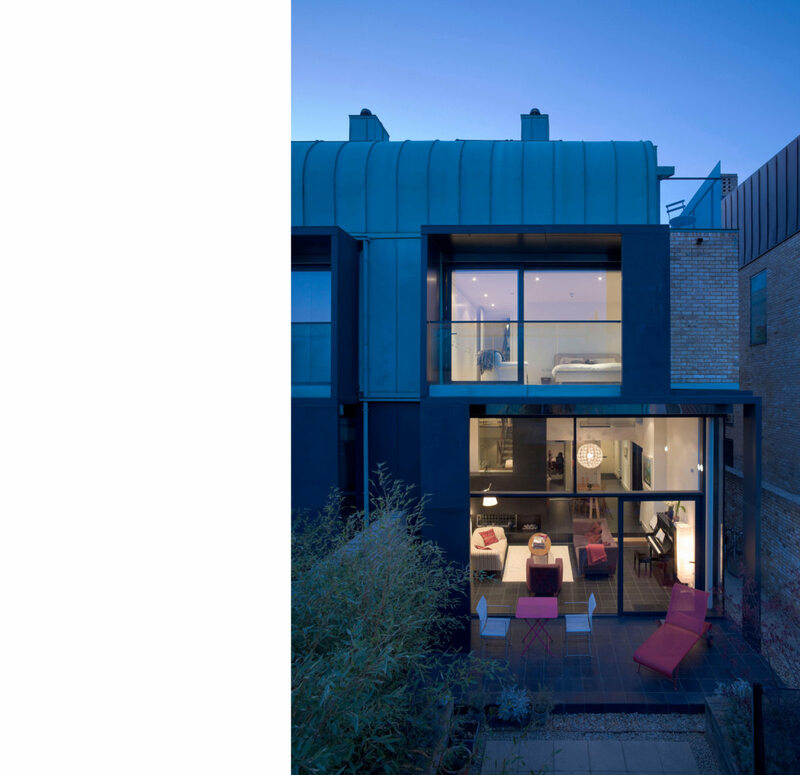 We believe this somewhat neglected dwelling type has much to offer; optimising light, ventilation, internal configuration and access while maintaining a terrace-like solidity of urban form to the street. 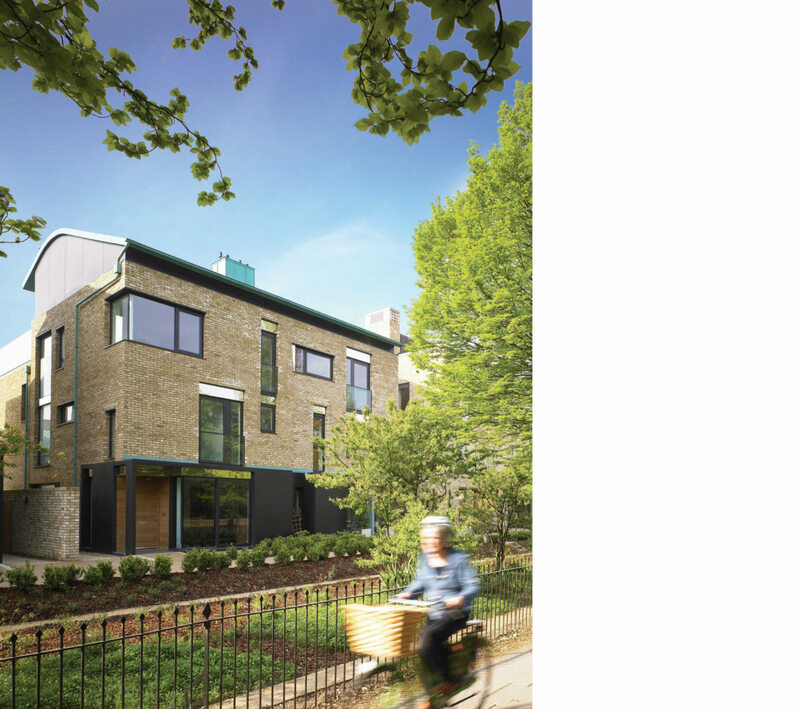 Our approach at Accordia was to adapt this typology to twenty-first Century family life within the constraints of a three storey frontage and an eight meter wide house plot. 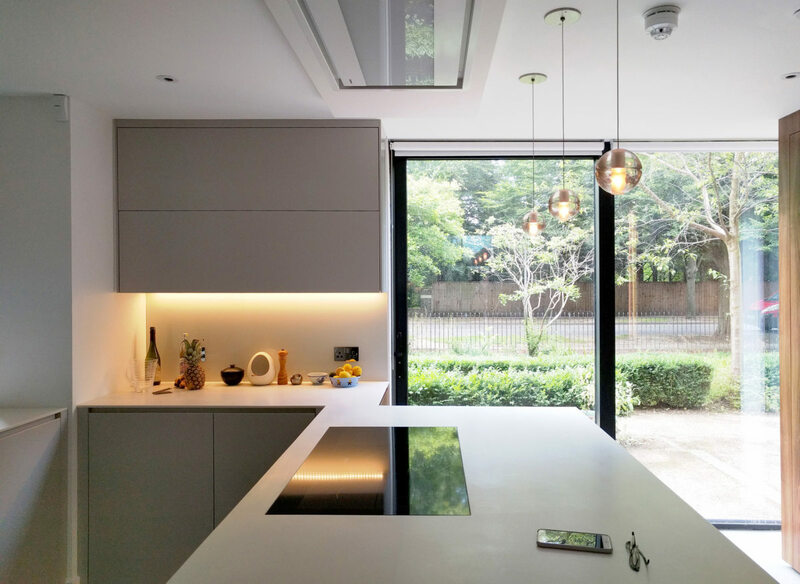 Spatial qualities of openness, transparency to the exterior, flexibility and connectivity were our primary intentions. 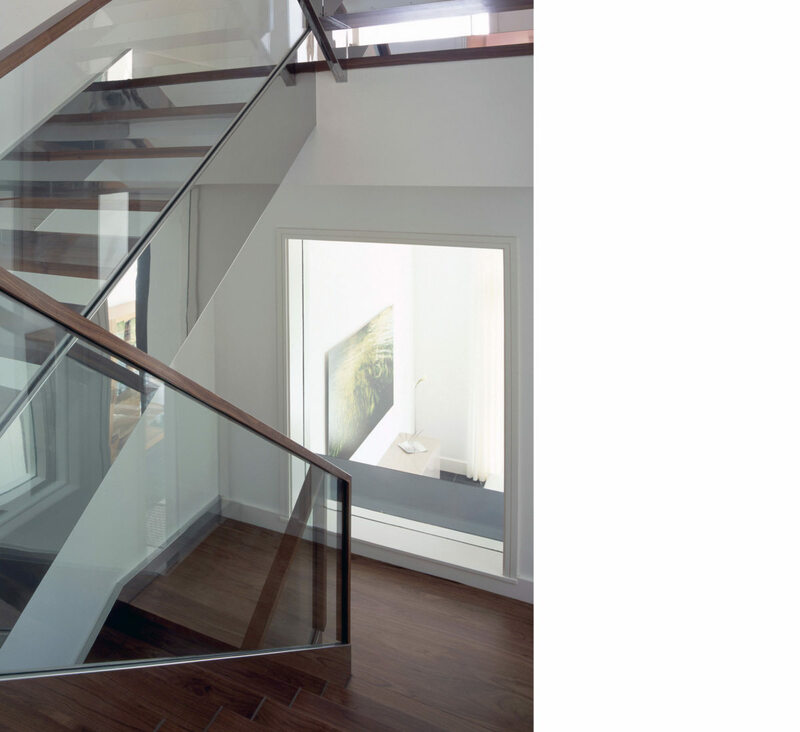 These goals were achieved by using the architectural devices of atrium, split-level section and dog-leg stair. 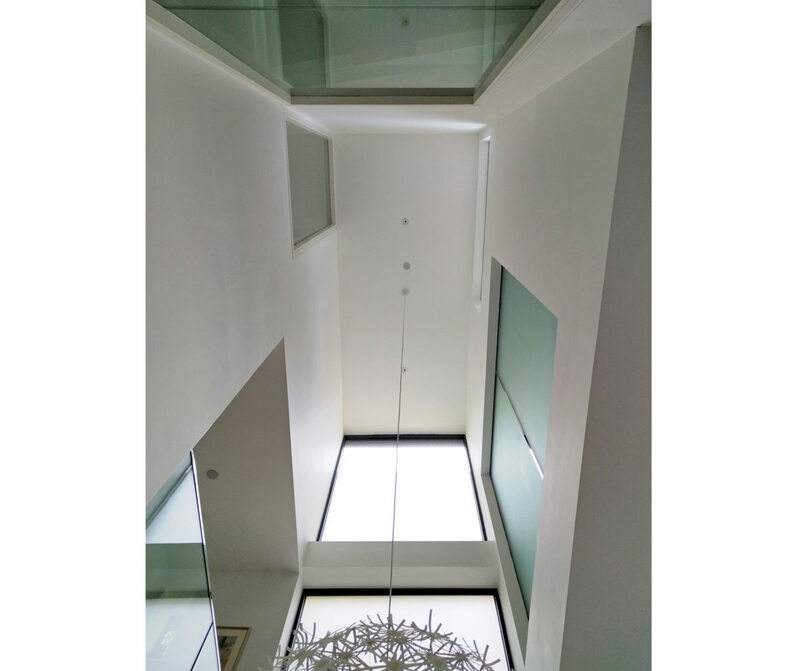 The atrium – also the open plan dining/living area – is a triple height space, or great hall, that visually and physically connects every floor of the house, filling its centre with light. 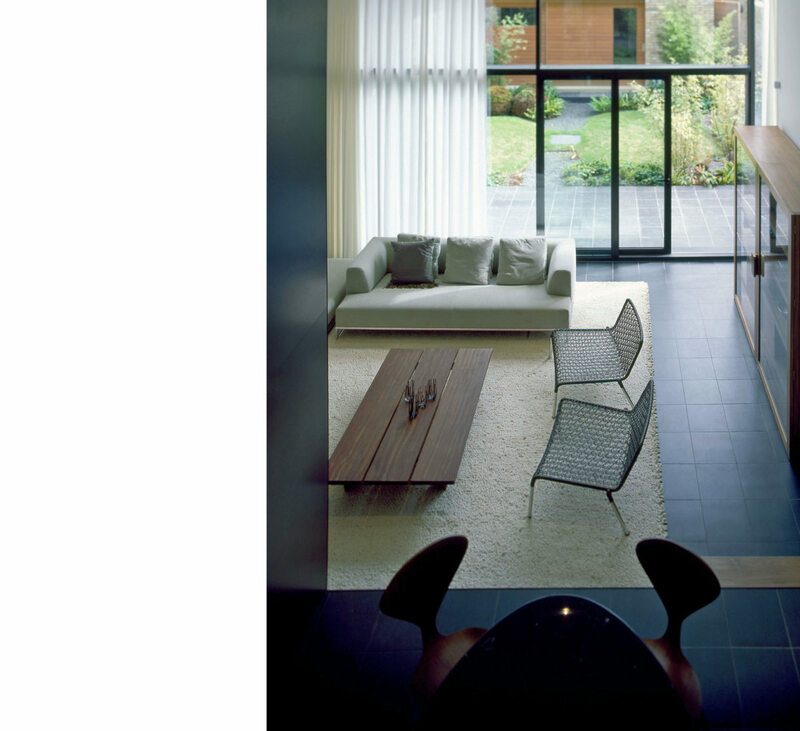 The ground floor was conceived as a continuation of the adjacent outdoor spaces, open plan with a covered landscape. 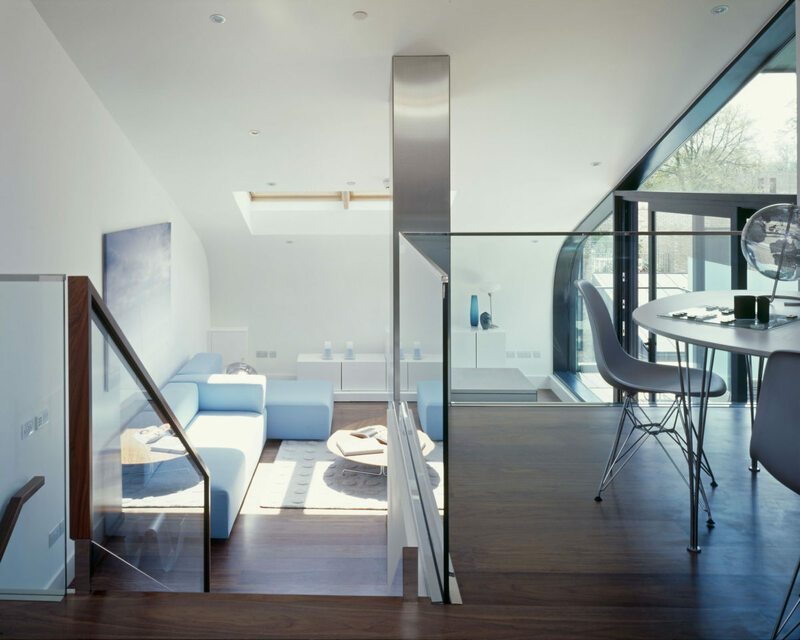 This spatial continuity is achieved by shifting the staircase to the party wall side of the plan so that upon entering, one sees straight through the house to the garden. 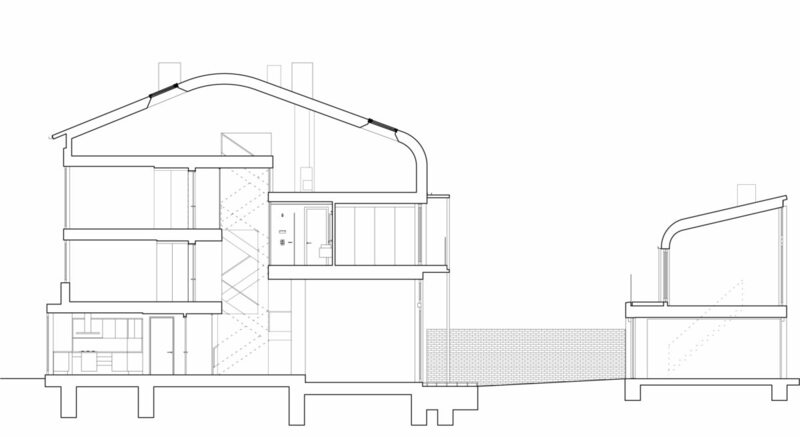 The house has no corridors, upper floor rooms are accessed from galleries that overlook the atrium, and light penetrates deep into the plan from the flank wall glazing. A translucent glass wall of the master bathroom illuminates the atrium space at night. On the north side of the atrium are four floors of bedrooms and service elements. 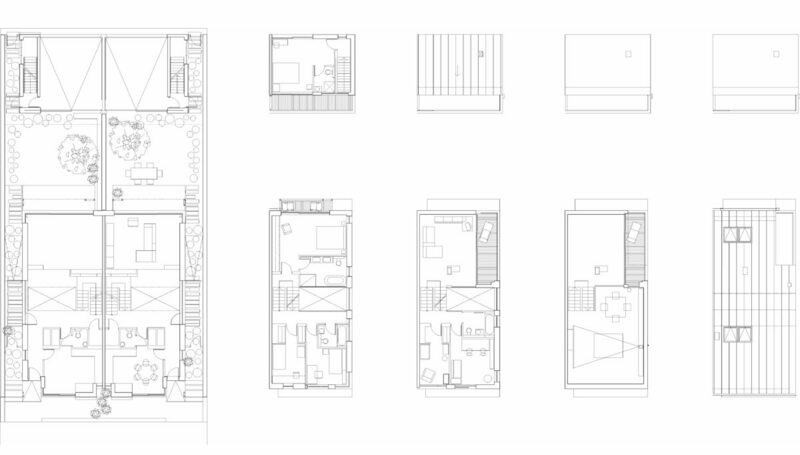 These spaces have a more enclosed, nest-like quality, while spaces in the three storey section to the south of the atrium have higher ceilings and open to the garden or roof terraces. 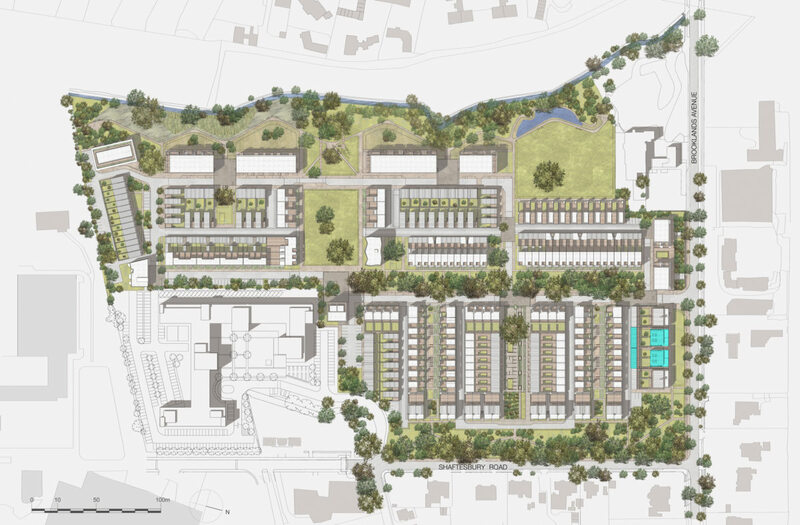 Although the height of the villas was constrained by a local covenant, the split level strategy allowed us to create the extra level of useable space under the curved roof: a generous family room, games room, bedroom, or studio with a top floor roof terrace. 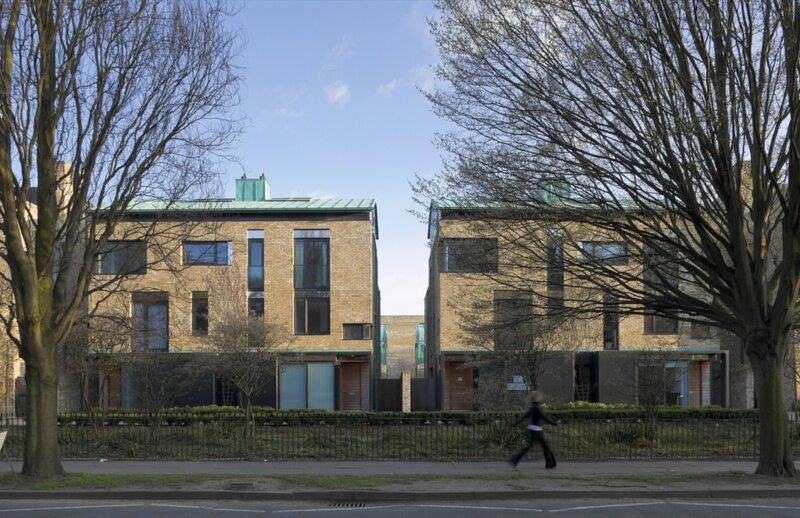 The elevations were developed to express the free-form section of the houses, respond to their orientation, to disguise their symmetry and create a reading of a single house. 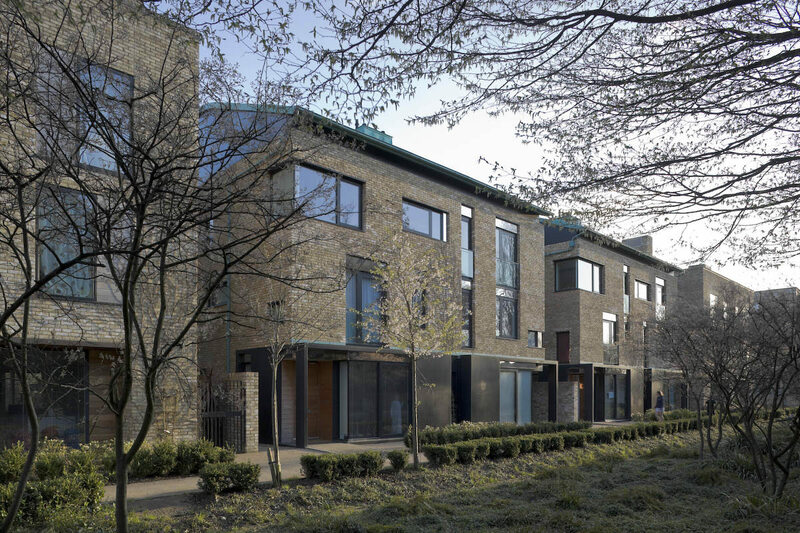 The elevations facing Brooklands Avenue therefore have a varied array of punched windows with deep reveals that dance across the facades. 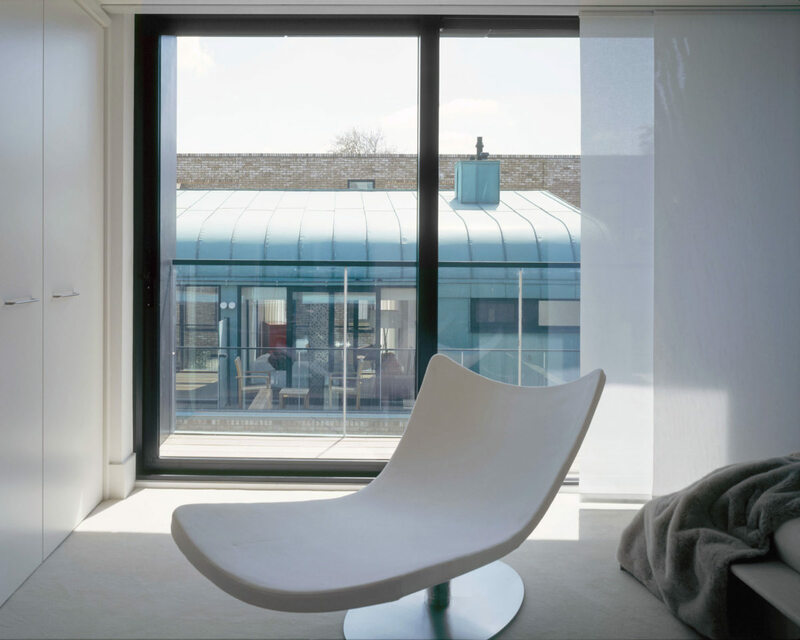 Internally these windows appear in unexpected places such as along floors and corners, allowing equally unexpected views. 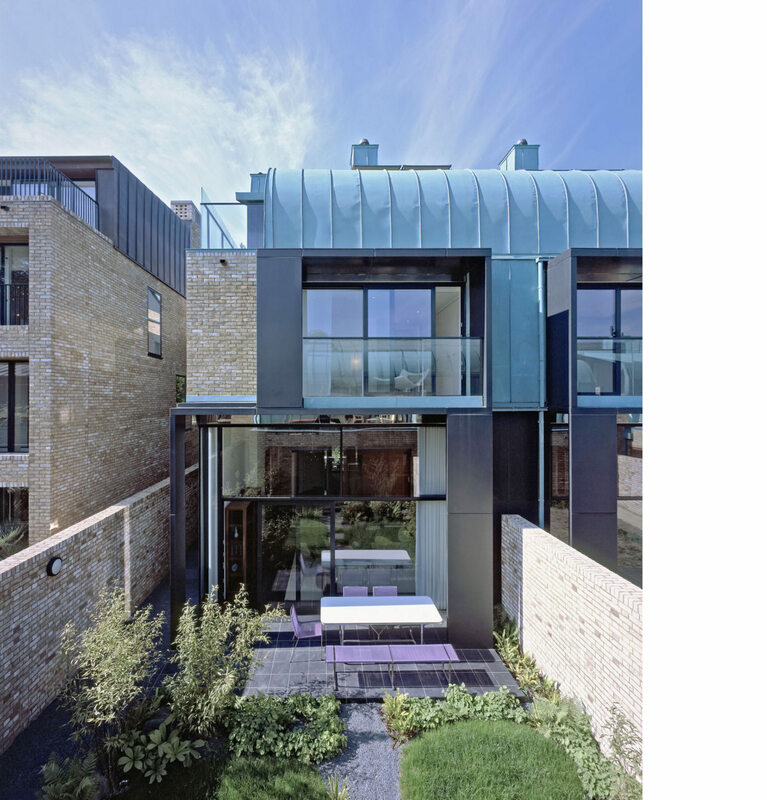 Metal-clad porticoes form front porches, important semi-public spaces that double as bay windows to the kitchen. Conversely, the south facing garden elevation is primarily glazed. 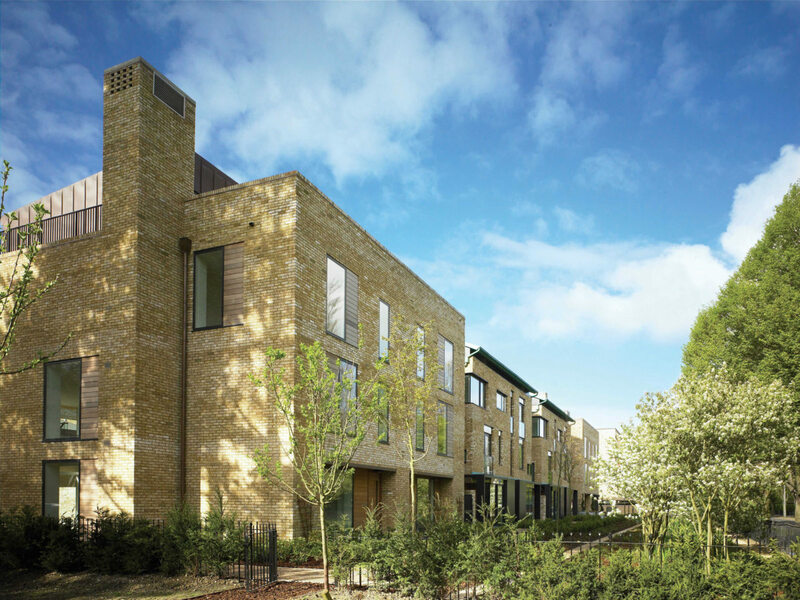 The portico extends to two storeys to form a sun-shading device, covered outdoor terrace and first floor balcony. 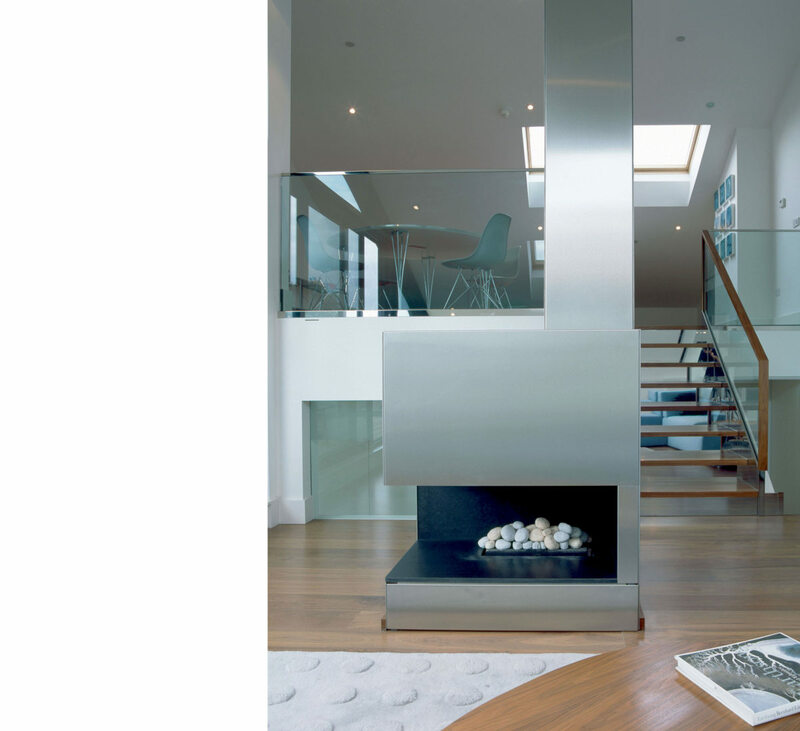 The same graphite metal of the porticoes is used to clad the living room fireplace, reinforcing a sense of spatial and material continuity between house and courtyard garden.